Spare keys are your back-up plan. If you lose your house, business or car keys, having a spare key and knowing where it is keeps your day (or sometimes week) from turning into complete chaos. Spare keys are also a great way to ensure no one in your family gets locked out. By having a spare set of keys to give to a trusted friend or neighbour, you can keep your home secure while you’re on holiday. If you don’t currently have a spare set, we locksmith Dublin recommend getting at least 2 spares cut as soon as possible. You can organise this by calling us on 087 403 4936. Once you’ve got your spares, you need to find a place to put them. This is something you need to consider carefully, as spare keys in obvious places are a thief’s dream come true. On the other hand, put it somewhere too obscure, and you might not remember it yourself! This is definitely the best option, as your spare key will be with someone you trust, and not lying around unguarded. If you can, choose two or more neighbours in case one is not home when you’re locked out. Magnetised lock boxes are becoming a bit of a trend for storing car keys. They are really effective, but because they are becoming more well-known you should take care to store the box in a less than obvious place. 3. In your Garden, but not near the door! The very worst places to store your spare keys for your house or car are anywhere around the door – welcome mats, rocks, plant pots. However, hiding spare keys in a random place further away from your door and car is quite effective. We do still recommend staying away from plant pots though! This is a relatively secure place to keep a spare key for your home, as most of the time we forget our keys because we are rushing out the door to work. It sounds odd, but always carrying a spare key in your wallet may ensure you are never locked out of your home or car again. It happens that you forget your keys, and it happens that you forget your wallet, but it rarely happens that you forget both! Locked out and can’t find your spare keys? Even with plenty of thought and planning, being locked out of your car and home can still happen. If it does, don’t panic. 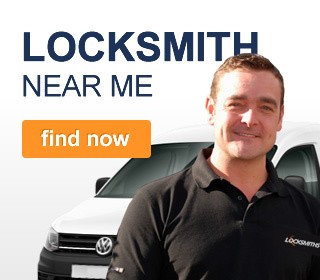 Just contact our mobile locksmith team on 087 403 4936. We’ll come to you and help you gain access to your car or home, without causing any damage.